Contemporary, custom Wisteria Park home in desirable Northwest location. This lakefront home offers spacious outdoor living with covered patio areas and outdoor kitchen overlooking the pool and spa. The large kitchen features granite countertops, double ovens, gas stove, center island and breakfast area in an open floor plan. The first floor offers the master suite, two additional guest bedrooms as well as an office/den/study with access to the covered patio. Upstairs, the large bonus room provides space for entertaining or guests with a full bathroom and wet bar area. This home shows like a model, has been impeccably maintained and is being sold turnkey furnished. Convenient access to beautiful beaches, steps to Robinson Preserve and Palma Sola Botanical Park, excellent zoned schools, and access to shopping and dining. Community pool and playground are an added amenity to the neighborhood. Please, send me more information on this property: MLS# A4431609 – $673,000 – 8844 17th Avenue Cir Nw, Bradenton, FL 34209. 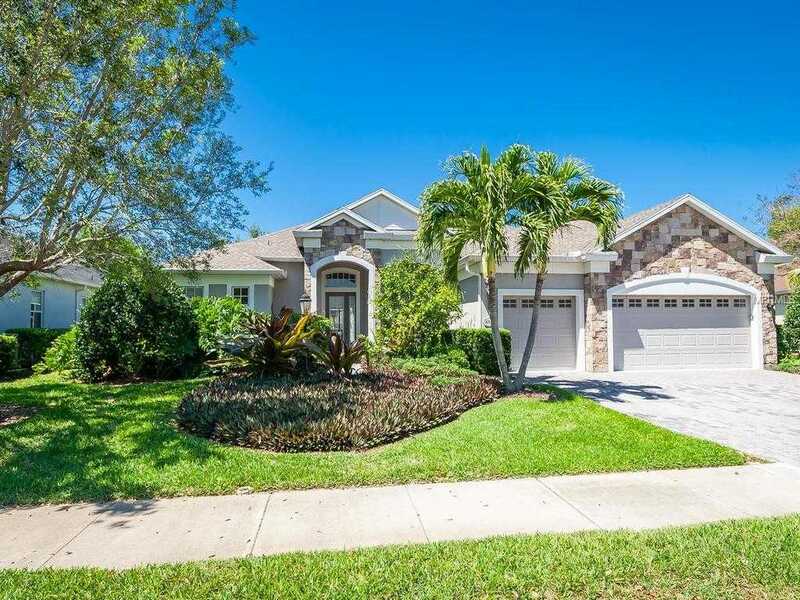 I would like to schedule a showing appointment for this property: MLS# A4431609 – $673,000 – 8844 17th Avenue Cir Nw, Bradenton, FL 34209.